You Deserve Answers. We Can Help You Get Them. After a devastating medical error, it can be difficult to know what exactly went wrong — and who was at fault. The absence of answers can be just as frustrating as the harm you have suffered. The doctor, hospital or clinic and other involved health care providers will be looking out for their own interests. You need someone to look out for yours. Turn to Murphy & Landon for a free evaluation of whether you have a medical malpractice claim. We work with medical experts in various specialties to get a clear picture of what happened. We will get your case in the hands of a medical expert as soon as possible to provide a realistic explanation of your options at the outset. Medical malpractice cases in Delaware are often tried and not settled. The negligent party and the insurance company will fight you long and hard over the value of your claim. You need a lawyer who is willing to engage the right medical experts and take your case to trial, if needed.Our legal team has extensive trial experience. We are widely respected as effective advocates in the courtroom. Many of our verdicts and settlements have drawn the attention of Delaware media, including a $2.4 million verdict in Caldwell v. White and a $2 million verdict in Rowlands v. Lai. 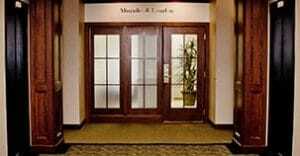 Schedule a free consultation with our Wilmington-based legal team by calling 302-472-8100 or sending us an email. You won't owe any attorney fees unless we obtain a favorable outcome. People often come into our office confused and frustrated, but they leave with the peace of mind that comes from getting clear answers.